Guitar, singing, piano, uke, sax. Fun, targeted lessons in the music you love. 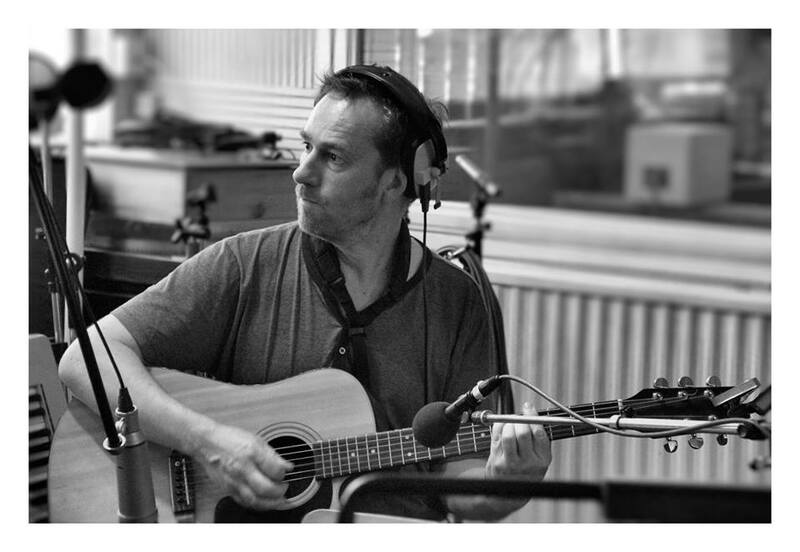 I’ve played and taught professionally for over twenty years: working with many well known artists. I teach one to one, in workshops and in schools and colleges. Guitar, Saxophone, Ukelele, Piano and Singing. From beginners through to advanced. I am happy to sit down with you and work out what sort of music you would like to play, sing, write or all three and then work out a simple plan for how to achieve that goal. In many cases I can get a student into a self sustaining learning curve within 8 lessons. Students also get the chance to perform in my student Jamborees should you wish. Learn in your own home, or in my studio, – where I can also record your performances and compositions to a decent standard – if desired. 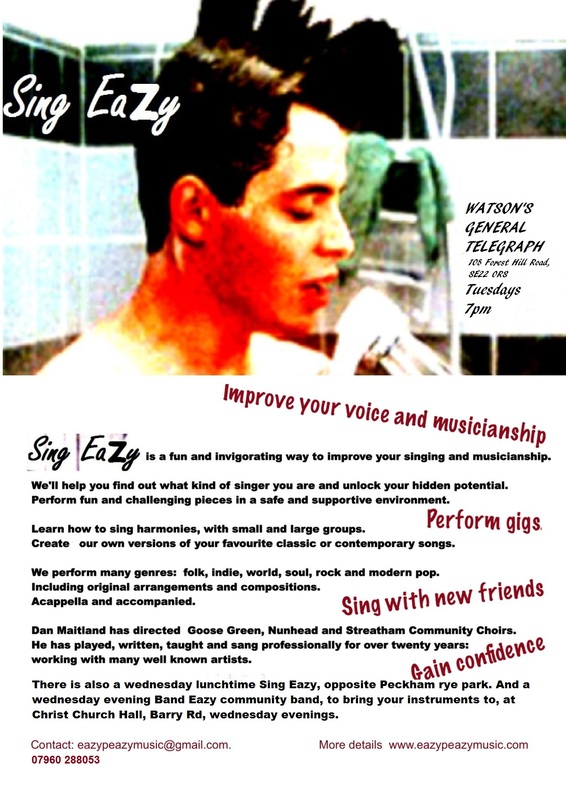 I am currently leading two Sing Eazy choirs, on Tuesday evenings and Wednesday Lunchtimes. I have also recently started to lead the National Theatre choir. 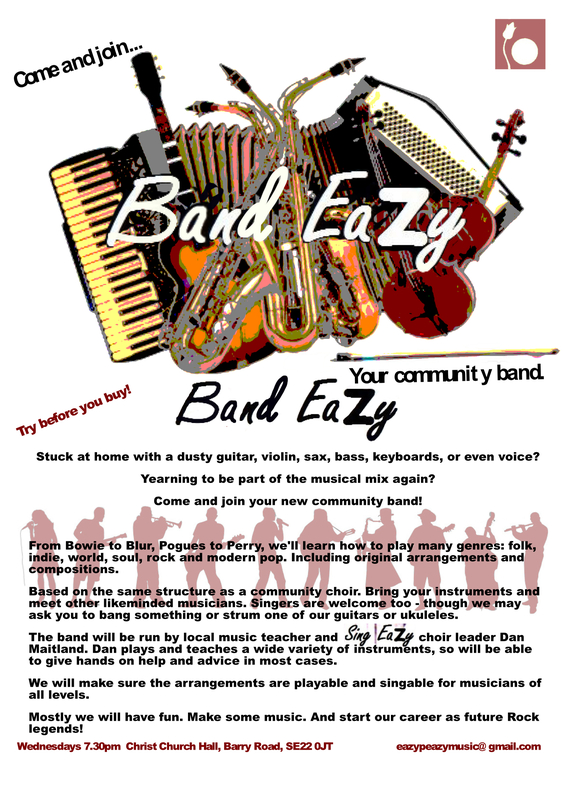 Plus I am very excited to announce that we have a brand new Band Eazy Community Band, for all those housebound musicians out there.. Lessons from 9am-9pm. Excluding Sunday and Saturday from 3pm. My lesson are 40-50 minutes, 30 mins for under 8s (half fee penalty for late cancellation). Please get in touch if you are interested.